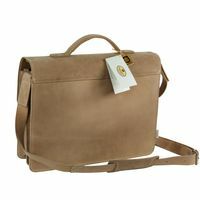 This shoulder bag has got space for a wide A4 folder and for a laptop up to 14 inches. 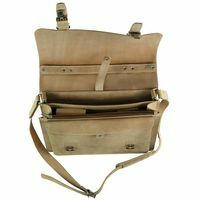 Other documents in A4 format fit into the zip pocket on the inside or into the practical big A4 outside pocket. You can certainly also place smaller items like e.g. your calendar, phone and glasses here. 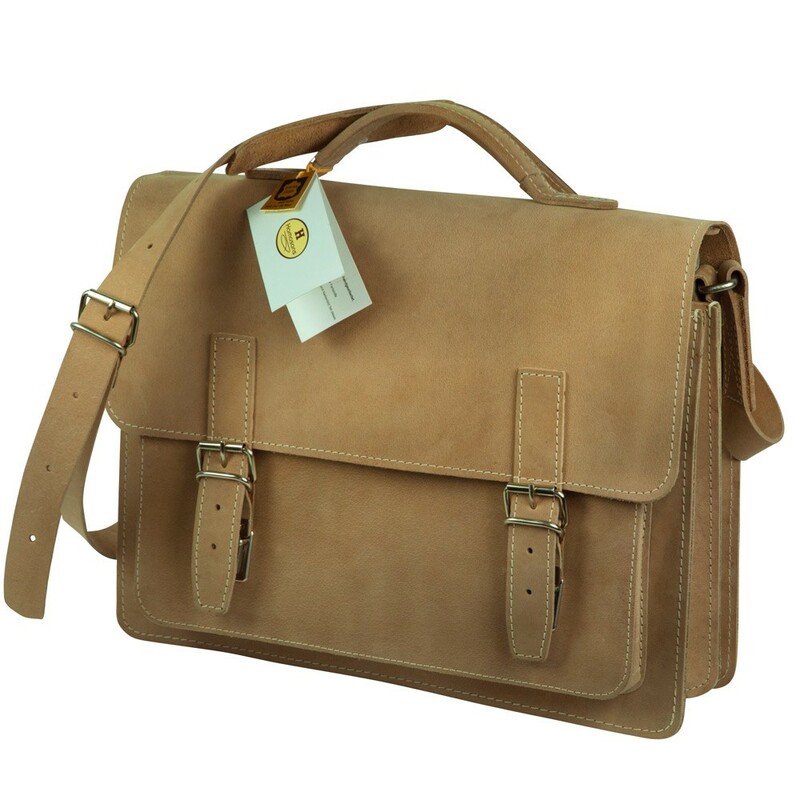 This practical leather bag can handle a lot and is perfect for all teachers, student teachers, lecturers, students and other people who are looking for a sturdy bag for school, university or the office, which isn’t too large or heavy. 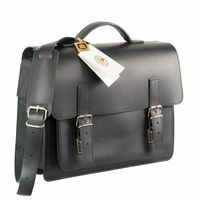 This satchel also suits older youths perfectly as robust school bag. 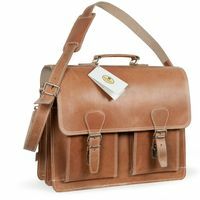 So this compact leather bag differs from other classic briefcases not by its overall smaller size, but especially also by its practical dimensions of the spacious outside pocket. 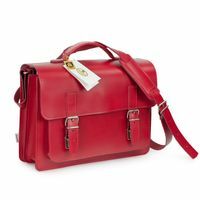 There finally is enough space for everything in A4 format. Whether it’s a loose-leaf binder, a large notebook or a magazine – reach in once and you have got the item you want at hand immediately without having to search for long. 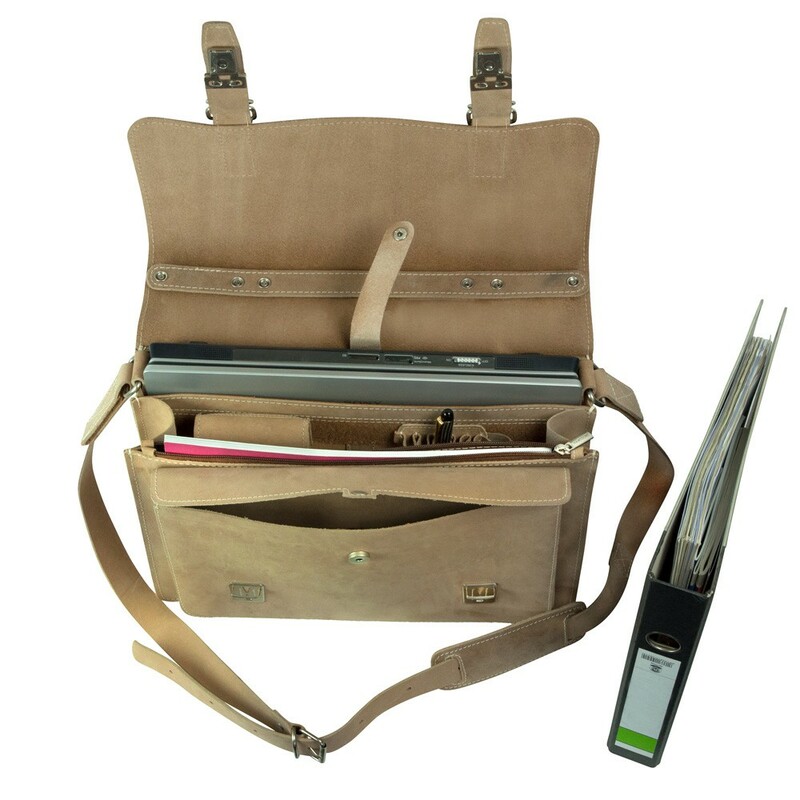 Everything else you can stow in the inside compartments of the practical teachers bag as usual, whether it’s a folder, a notebook or other A4 documents. 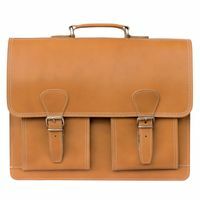 The school bag is made out of firm, robust leather and processed raw-edged and unlined. The inside walls are made out of light leather fibre material to reduce the bag’s own weight. That way the briefcase is extremely sturdy, also with permanent use and occasional challenging handling, whether at school, university or in the office. 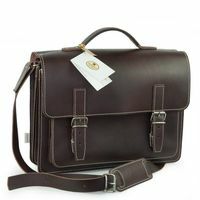 You also have got a loyal companion with this college bag for many, many years which doesn’t only appear timeless chic but also isn’t too massive and for that reason is perfectly suitable for smaller and petite people as well. 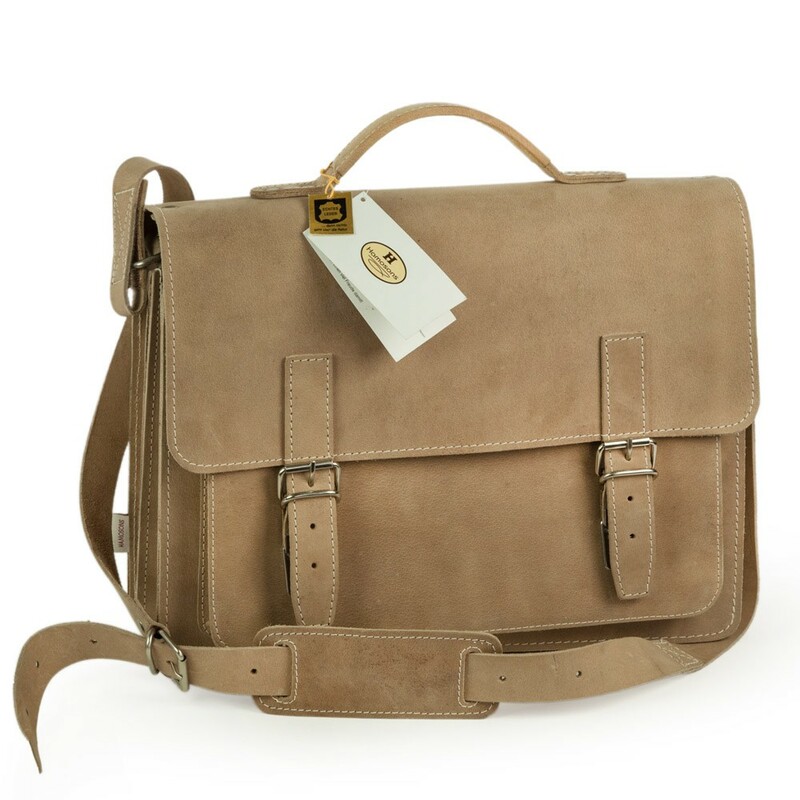 In spite of the compact dimensions – you can still fit all necessary items well in this bag.